Are your marketing efforts siloed? Are you trying to build integrated marketing campaigns that are aligned with business goals? 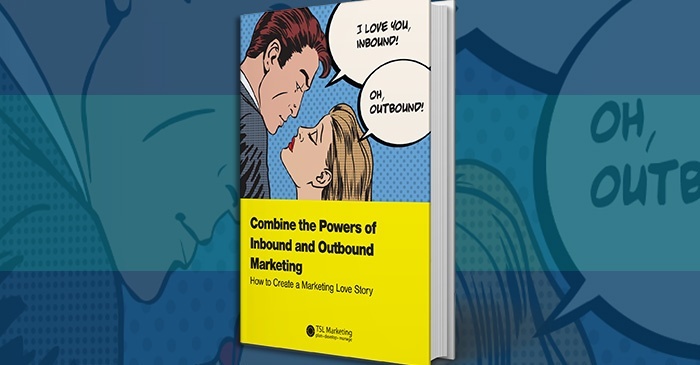 Read on for insight on how to create a love story between inbound and outbound marketing. Over the past decade, we’ve seen a budding love story in B2B marketing. It’s the story of smarter integrated marketing. Best-in-class marketing departments are better at integrating all of their marketing efforts. The heart of marketing itself is becoming un-fragmented. Social media no longer sits off in a corner. It supports and is supported by other marketing efforts. Website copy is being better aligned with outbound marketing messaging. Inside sales teams are leveraging the power of inbound marketing through marketing automation tools. While steps toward integration are occurring, sales and marketing teams are often still disconnected. Inbound and outbound marketing efforts are often run completely in silos. Marketing automation tools like Hubspot and Marketo are helping organizations take steps toward greater integration. They can house your social media, content, landing pages, websites, and even your CRM. These tools aren’t the key to this love story though. TSL has worked in outbound business development for 15 years. We see a lot of organizations playing catch-up to combine new inbound tools and techniques with traditional outbound marketing. Many organizations with established sales and telemarketing teams are scurrying to build creative teams. Many companies that have bought into inbound marketing principals and marketing automation are doing their best to start hiring, training, and retaining telemarketers. The companies that are just now hiring telemarketers will face an uphill battle as they work to find passionate and experienced telemarketers. It takes a special kind of person to pick up the phone hundreds of times a day. It takes perseverance to not only handle rejection, but to also land in voicemail and record a message over and over again through the day. 1. They have heard of. 2. They have positive sentiment for. When your inside sales team doesn't have to work as hard to tell your story and establish a baseline of trust, then they'll have an easier time getting people to hear them out. They'll also have better prospecting conversations. Without people to make follow-up calls to your inbound responders, even the best-planned marketing automation workflows can sputter. Content conversions make for great vanity marketing metrics, but where is the human connection to your brand? Without phone follow up, your success is left in the hands of automated workflows or lead scoring systems. A site visitor who converts, even at a very early buying consideration stage, may actually be a lot further into the buyer's journey than their action reveals. There's no way to know this if you don't try to follow up and talk with them. Ask them if they got everything that they needed. See what they thought of the content. Find out what other kinds of content and offers might appeal to them. Ask a few prospecting questions to see if they're a potential buyer. Great marketing teams must learn to live at the intersection of inbound and outbound marketing. Your telemarketers, social media managers, inbound specialists, SEO specialists, advertising team, sales team, copywriters, designers, and developers must all work to weave together their efforts into a cohesive inbound and outbound romance. Many have trumpeted these key findings from the study as a revelation. But isn’t this something that we already know instinctively? People don’t make connections to brands based on product overviews or a list of services offered. When people engage with digital content, like your website, they go out of their way to find the pages that show the people on your team. If you don’t believe this, take a look at those pages inside of your site analytics. Even in the digital world, we seek out human engagement. We look for faces to replace logos. We look for signals—especially in the form of testimonials and reviews—which we use to judge if we can trust an organization. Social signals and trust signals can provide critical conversion assists. Bridge the gap between digital and in-person by touching someone with a phone call. Have a real person on the other end of the line to answer the visitor's questions. Real human connection comes when a salesperson can have conversation with your prospects. The true measure of your brand comes from interactions with your people. Is your marketing missing its chance to make a human connections? 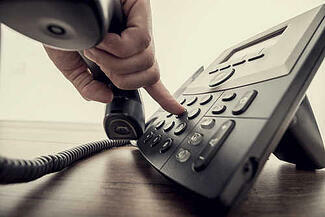 TSL first started making business development phone calls 15 years ago. Back then, a company’s website was often an afterthought. Marketing collateral to support those efforts was often nonexistent. After a great conversation with one of our business development team members, the only “content” we sent out was a follow-up email. These emails consisted of a few lines of thanks and some canned value propositions. Many of these calls were completely cold. Anyone who has ever made thousands of cold calls in a week knows that there are a lot of rejections. We recognized this problem and worked to develop our own client-facing creative marketing team. This focus on inbound marketing has helped us better support the content needs of our clients. Today’s B2B prospects are not only much savvier. They also expect more. Let’s face it. B2B prospects are able to do research without your sales team. They are looking up a website the moment they figure out it’s a sales call. The rapport that an inside salesperson builds up in the first minute of a call can be crushed if their company has a bad website. The truth is that your target prospects are doing their own research before they ever reach out to you. These prospects are also inundated with marketing messages. You need to have purpose-built collateral to serve up to them. Not only that, but you need to have remarkable and memorable content that is purpose-build for your buyer personas. If you aren’t building great content, you’re losing. Even with a great initial conversation, you might be quickly forgotten. How are you making sure that your brand makes a lasting impression? Start off with a great web presence and stand-out content. 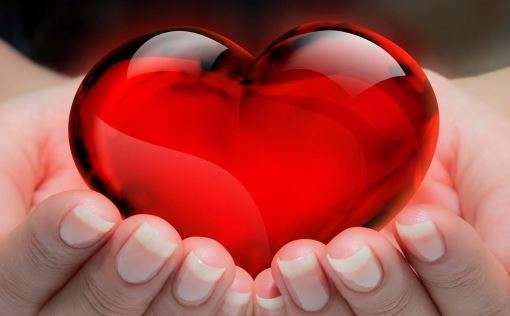 If your inbound and outbound love story is going to turn into a true romance, you need outstanding content. 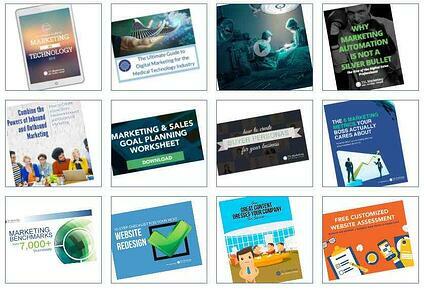 Your prospects are exposed to thousands of marketing and advertising messages every day. How can you make your marketing efforts stand out? What will set you apart in the converged world of inbound and outbound? First off, ask yourself if you’re building B2B content that your audience wants to see. Next, consider how familiar your sales team is with your content and the purpose it serves. Your salespeople will need to have a follow-up approach that is aligned with your inbound marketing. Salespeople may expect sales qualified leads to come out of your top-of-funnel content campaign. However, not all responders will be SQLs. Arm your sales team with the right kind of marketing content. If a prospect asks for a breakdown of you versus your top competitors, then your salespeople must be ready to present your competitive talking points, as well as a competitive analysis report. Do you have this kind of content ready for your team? When you're creating content, don't forget that your sales team members are usually the people who are most directly connected with your customers. Include them when you start planing which content to create. Sales is going to have a decent idea of the questions your customers are asking and what kinds of content they're accessing. Ensure that you engage your audience with human interaction throughout the buyer's journey. Enable your salespeople to be more than just "closers." As brand ambassadors, they need to know how to build trust, listen, and help. Make sure that you have content that supports your sales team and helps them tell your story. Have a modern website that has helpful digital content to help create a positive brand experience. Use CRM and marketing automation platforms to help you manage, nurture, and provide source attribution for your leads. Make sure that at least a few of your sales team members are trained to use modern social media channels. Create a content publishing calendar. Have a sales-informed blogging strategy. Have a nurturing methodology in place so that you stay on your prospects' radars. Conduct regular meetings with sales and marketing to talk about what's working and what isn't. In this age of content marketing permeation, you hear people say “content is king.” But do you know what most content really is? The court jester. And not the entertaining one. The talentless and short-lived court jester. Content marketing is pervasive and can be interruptive. To make matters worse, much of it isn’t good. Prospects will have some patience for your interruptive marketing if it at least informs and/or entertains. Most content fails to do either. The best content can’t stand alone because your audience has heightened their BS sensors. They have become more marketing savvy. If you have taken steps to build remarkable content, then you owe it to your entire team to combine the powers of the content that they created with human-facing sales and marketing. Those 100 conversions from your last eBook make your marketing automation dashboard look great, but what happened after? Did your team follow up immediately to make sure that the content was well received? Did someone call to introduce themselves and give a human connection to your brand? That first follow-up could take days. Busy salespeople fail to follow up on a first-touch unless it is sales qualified. Don’t let this happen to you. Make the most of every lead generated by having a plan of attack for every lead that comes into your pipeline. Marketing automation is a great advancement for inbound and digital marketing, but it isn’t a silver bullet. 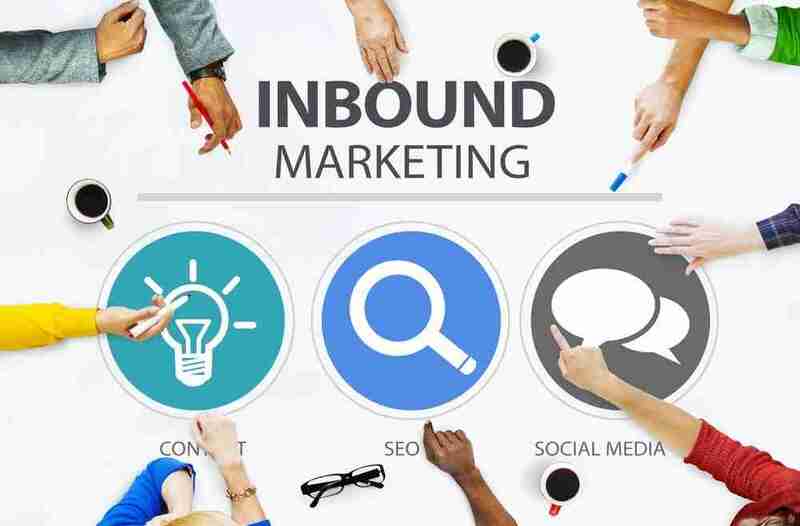 Inbound marketers relying solely on marketing automation tools need to find ways to support their efforts with outbound marketing. Aligning human engagement with inbound efforts will make your marketing more effective. Your sales team must be a part of this love story. Don’t push them out of this process either in the planning or implementation stages. By bringing the sales team into the world of content marketing, they are more likely to buy into your inbound processes and feel more involved. When done correctly, your sales team will help to inform the inbound process. The salesperson interacts with prospects and clients every day. Your inbound team can use the sales team's input to better understand prospects’ needs and build better content and inbound processes. When your organization realizes that inbound best practices need to be married to outbound best practices, then your sales and marketing teams will flourish happily ever after, delighting your prospects and filling your sales pipeline. Technical integration with CRM and marketing automation tools. Strategic integration to help with planning and determining SLAs. 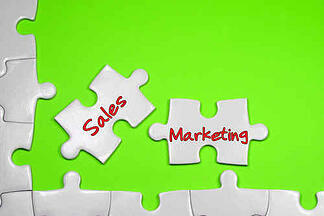 Helping marketing departments build a business case for their marketing efforts. Pipeline management and lead progression best practices--to help more marketing leads stay in the pipeline and close as wins. Reach out to us and find out how we can help you bring together your sales and marketing efforts by integrating your inbound and outbound activities.